Manufacturing has been an industry sector that has traditionally used automation to improve productivity. Automation of Material Handling can dramatically reduce handling time, eliminate mundane procedures, reduce product damage, and improve safety. Most Material Handling Automation Systems target labor reduction in moving materials from point A to point B. Automation may take the form of conveying, lifting, or transportation methods such as Self Guided Vehicles, Automated Tuggers with trailers, robots, automated storage or other material handling systems. Manufacturing Industries served are varied, but include: Food, Pharmaceutical, Building Products, Automotive, Packaging Manufacturing, Medical Devices, Electrical Products, etc. PE Engineering Sales starts with assessment of our client's needs to help determine if automation is appropriate. It is best to examine the physical characteristics of the product to be handled, rates, as well as business objectives to determine if an automation solution will provide a return on the investment. 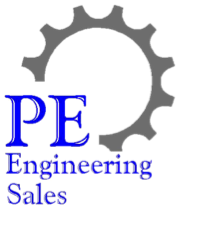 When a potential project looks feasible, PE Engineering Sales works with our systems integration partners to provide a team with the experience and knowledge that will result in a successful integrated material handling system. Contact Us for assistance with your next manufacturing automation project.